The oil production freeze could be secured by two agreements, one between the members of the Organization of the Petroleum Exporting Countries (OPEC) and the other between the cartel and non-OPEC oil producers, Algerian Energy Minister Noureddine Bouterfa told Sputnik. 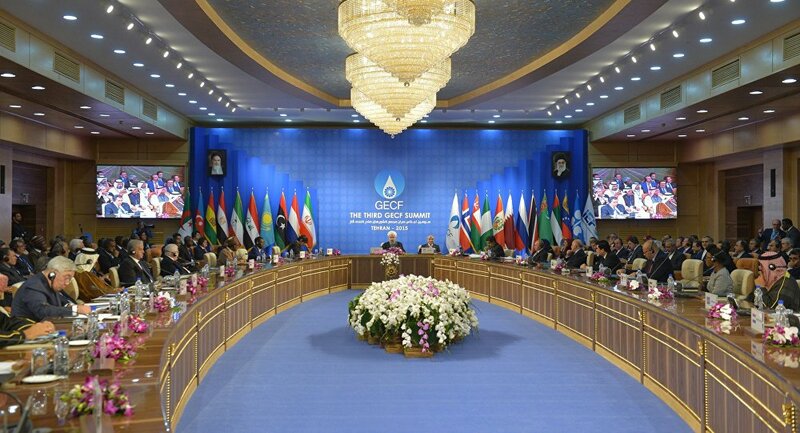 MOSCOW (Sputnik) – OPEC member states are expected to renew talks on a possible oil output freeze with non-member states at the September 26-28 International Energy Forum (IEF) in Algiers, Algeria. "It is possible that there may be a chance to reach an agreement at the meeting in Algeria. One agreement between OPEC member states and the other agreement with countries which are not OPEC members," Bouterfa said. Algeria is ready to suggest options to settle disagreements between the member states of the Organization of the Petroleum Exporting Countries on freezing oil production, he said. "Algeria is ready to suggest initiatives to these countries to look for decisions. We have ideas on such decisions." Russian Energy Minister Alexander Novak and his Algerian counterpart Noureddine Boutafra discussed Friday outlooks for Russian energy giant Gazprom drilling for shale gas in Algeria. Moscow and Riyadh signed a joint statement to step up cooperation in stabilizing the oil market and ensuring stable long-term investment in China on Monday.